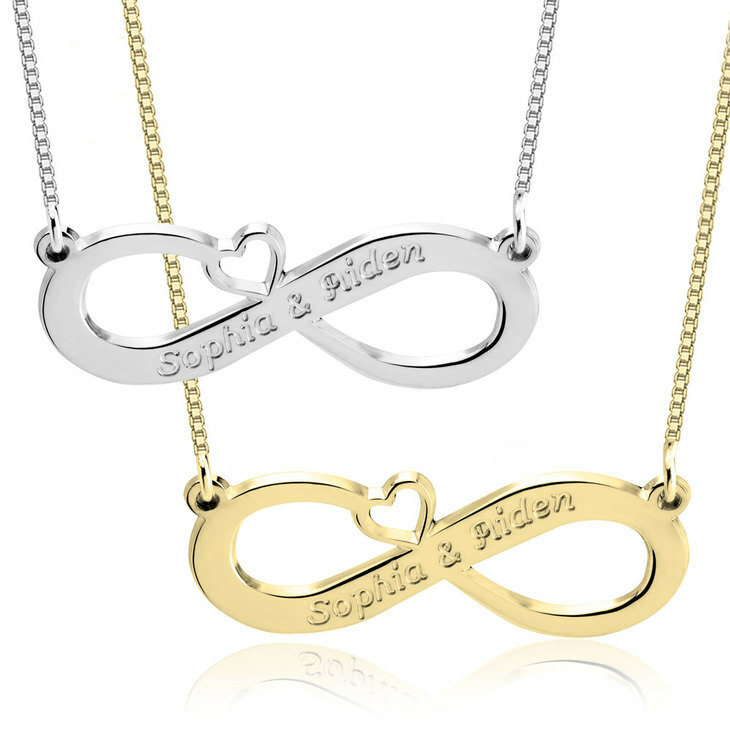 The trendiest symbol just got a lovely upgrade with a heart joining the Two Name Infinity Necklace, you can engrave 2 names or words and it will have a heart, no better way to show your infinity love! 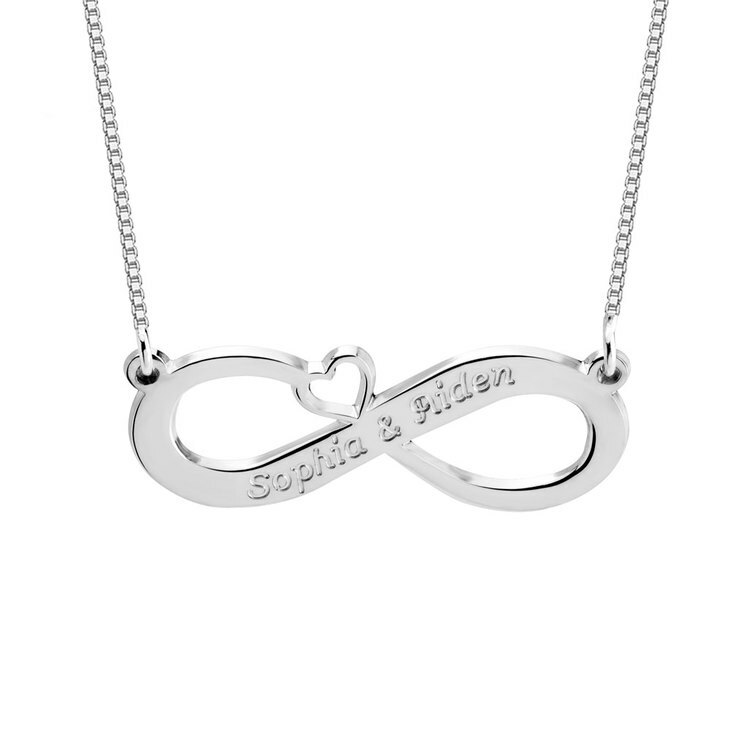 This necklace is perfect for the girlfriend, the wife or the mom that show infinity love to us. Give your look a touch of trend with meaning today! You can choose between silver, gold or rose plated. 32mm x 11mm / 1.3" x 0.4"